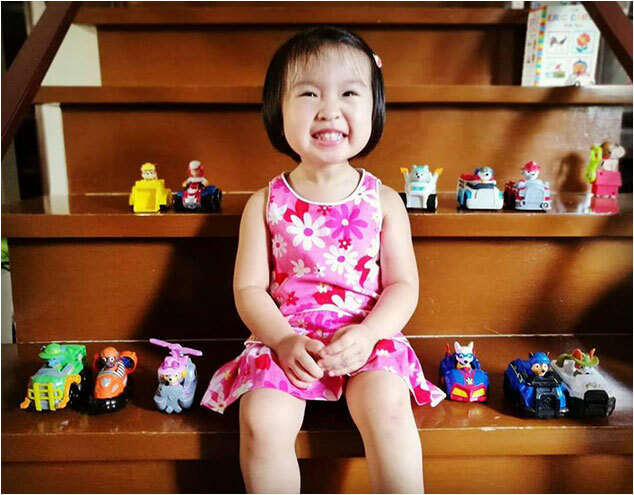 Our favorites aside, we also encouraged her to develop her own taste in toys and we allowed her to explore on her own other different cartoons and characters, some of which we knew, like Hello Kitty or Elmo and others more current that we had absolutely no knowledge of. 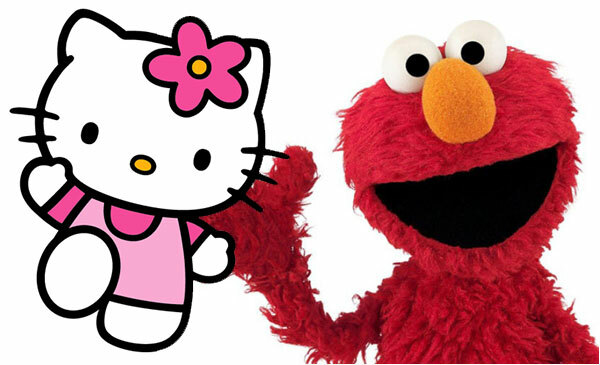 As far as we were concerned, as long as the cartoon was age appropriate for her, we were good. I for one didn’t really take a lot of interest on her stuff beyond that. Then one day, while watching some stuff on YouTube Kids with her, we came across a video featuring toys from a cartoon called Paw Patrol which she took a liking to. It seemed nice enough and made a fairly positive impression on me. So the day before Valentines of 2017 I was at a flower market picking out flowers for my wife and daughter. I had to wait around 45 mins for the florist to assemble the bouquets so I decided to kill time at the toy section of the department store next door. 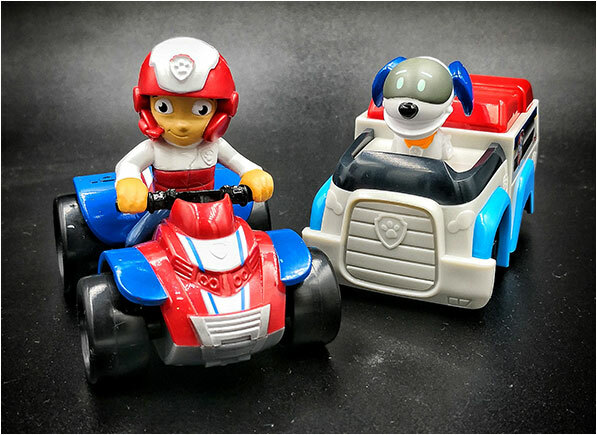 After not finding anything for myself, I chanced upon some Paw Patrol minifigures that were on sale so I figured...why not? At this point I wasn’t very familiar with any of the characters so I ended up just getting one of each unique figure I could get my hands on (there were about 6) and called it a day. On Valentines I gave the little figures to my daughter, revealing to them to her one by one. And the look on her face was priceless and her excitement grew with each succeeding reveal. To both Caren and my surprise, she happily named each and every one of them and from that moment on we were all hooked. I started doing my research on the show and the more I read, the more I got into them. 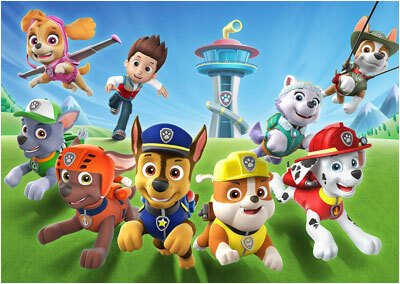 Maybe it appealed to me more because I was a dog person but the premise of the cartoon was pretty simple, positive and the designs were nice and cute. 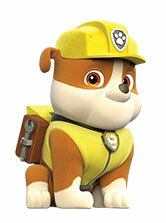 Ryder, who is their human leader. 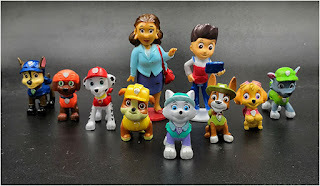 Anyway over the course of the next few months, being the completist that I am, I was able to get minifigures of all the characters I mentioned above except for one...Everest, the Siberian Husky, which became a major thorn in my side. 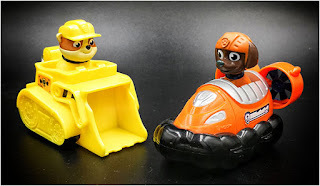 Apparently the Everest minifigure exists but is a RARE one! 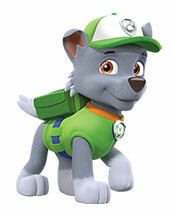 As in every time I would rifle through the Paw Patrol section looking for one, a store person would eventually come up and say “wala nang Everest” (There is no more Everest). It got even worse when whenever playing with her minifigures Cecilia would just exclaim “Papa we don’t have Everest!”. 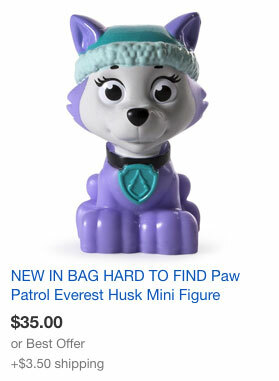 Naturally after failing at retail, I went online to try my luck, unfortunately, Everest’s minifigure was selling for crazy prices that I was not willing to spend for such a tiny toy. 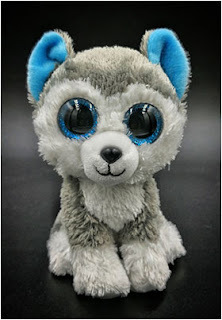 In order to keep our daughter happy and to have her stop pointing out that we didn’t have Everest, Caren actually told her that one of her stuffed toy doggies, that sorta looked like a husky was Everest, which she accepted. 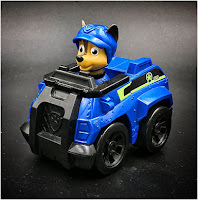 So unable to complete the Paw Patrol minifigures, I decided to direct my completist tendencies down another rabbit (or doggie) hole. Yes...I know, I have a problem. While on a trip to Hong Kong, after striking out once again on finding an Everest minifigure at a Toys R Us there, my wife and I decided to get Cecilia ONE Paw Patrol vehicle. See aside from each character having their own respective rescue specialty, they also drove their own unique rescue vehicles of which of course they had toys of as well. 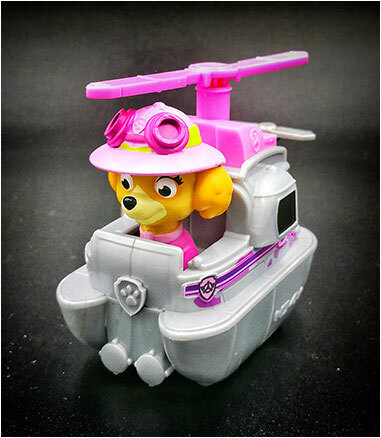 After going back and forth and fighting the urge to get more than one, we settled on getting her Skye’s helicopter which of course she loved. 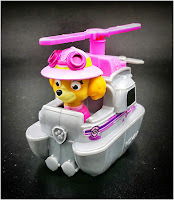 She loved it so much that we, being the weak parents that we are, ultimately caved and returned to the store later that day (to be fair, the store was literally a 5 minute indoor walk from the hotel we were staying at) to get her 2 more vehicles (Marshall’s firetruck and Rocky’s recycling truck). I also ended up getting her a special edition Chinese New Year Skye stuffed toy that was on sale and is currently as of this writing her favorite toy. 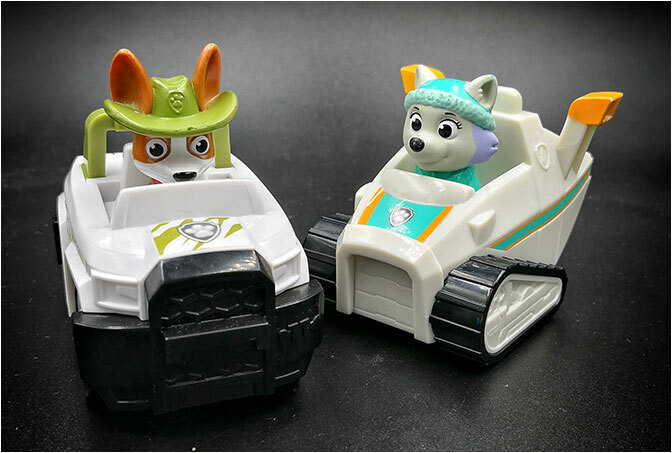 Anyway, if you are a regular reader of this blog, you pretty much know how the rest of this story goes….since Cecilia already had 3 out of the 6 main pup’s vehicles, it really didn’t make any sense to stop there. In the following months Cecilia eventually got Zuma’s hovercraft, Rocky’s bulldozer and finally Chase’s cruiser. And we thought we could call it a day after that. Or so we thought. 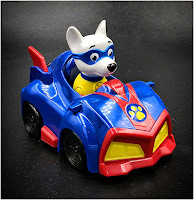 On another random trip to the toy store, Caren came across another character I had no idea even existed, Apollo the Super-pup who had his own vehicle which we ended up getting. 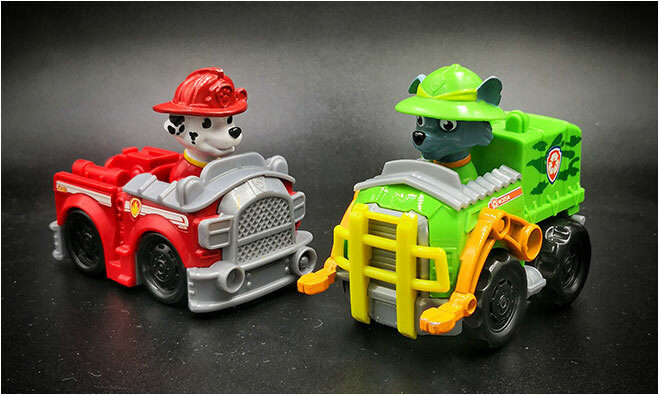 Of course this opened to me the idea of just completing all the Paw Patrol vehicles (suprise suprise). While they weren’t available locally, I knew that there were toys of Everest’s snowmobile and Tracker’s jeep. I decided to see how much they cost online on Amazon and surprisingly they were selling for pretty reasonable prices...I also found Ryder’s ATV and Robo Dog’s vehicle as well...and so with a single click Cecilia’s collection was complete. Oh and as an aside, I actually DID end up finding her an Everest minifigure that came as part of a *possibly* bootleg set off a Chinese seller on eBay. It doesn’t really match with Cecilia’s other minifigures, but that’s OK, as far as she’s concerned, she’s finally got an Everest. People say that your world completely changes when you become first time parents to a new baby. 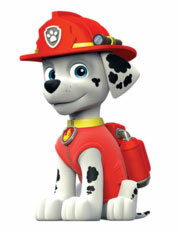 All of a sudden, your priorities are forever changed as you are suddenly fully responsible for another human life. For a toy collector like myself, it meant learning to be more selective and discerning with my purchases and cutting down on impulse buys. 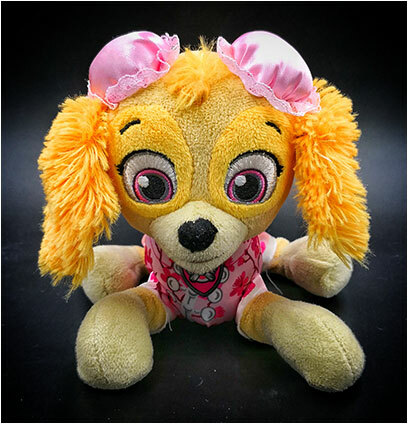 But in this case it also meant redirecting my collecting habits and urges towards other things that my daughter would appreciate and enjoy. 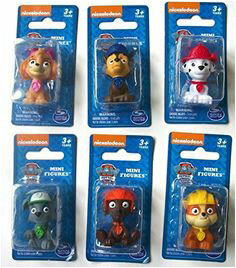 I know that i need to practice a lot more discipline on my overall collecting and purchasing tendencies. But really, when it comes to my daughter and seeing her face light up with delight with all her toys it really is a losing battle for me.